Every year in January, I write down my goals for the year. This evening, I ran all over my house trying to find the goals I had written down in the beginning of 2012. Usually my goals are very organized, typed up and often written in several places. For some reason, last year’s goals were hard for me to find. But at last, there they were, written on a single piece of paper. I had literally forgotten all about them – except that I recalled I had written them down. As I read over my 2012 goals this evening, I was amazed to say that I had achieved literally all but two goals! I had literally completely forgotten that I had set my intention to write another book, and when I began my writing process, I thought I would be writing about unconditional love. It was only in the discovery process of writing itself that I realized I was writing about the healing benefits of unconditional love AND natural healing itself. Writing down your goals is absolutely crucial, in my view. Even if you forget them in the mad rush of living your life, as I had done, your subconscious mind will remember exactly what you had intended. And because it’s actually your subconscious mind that runs the show, your subconscious will generally do whatever it takes to make the goals you set for yourself a reality. How do you know what your goals really are? If money were no object, if you could be whatever you wanted, do whatever you liked or have whatever your heart cries out for, what would that be? Let your soul guide your goals and they are sure to happen. 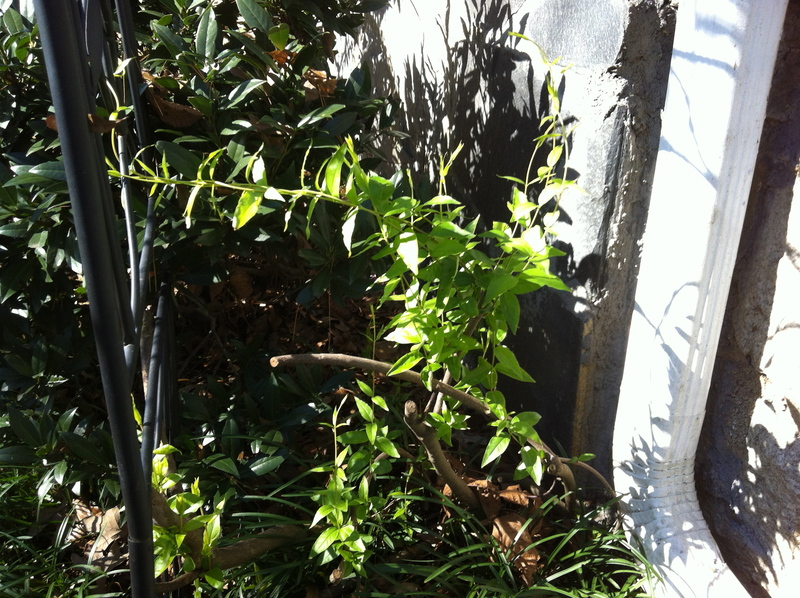 Photograph: This is a Confederate Jasmine vine that I cut down off the side of my house after 12 years of growing straight up. I set up an arbor next to it, and now the vine is naturally growing in the direction of the arbor.